Tibet, the highest region on Earth and one of the most remote, is associated with vivid blue skies and the crystal clear air of the Himalayas. 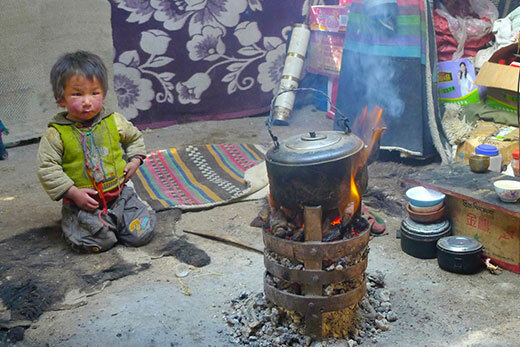 During the long cold season, however, the traditional nomadic people spend much of their time in snug dwellings where they cook and stay warm by burning yak dung. Their indoor air can be filled with dangerous levels of fine particulate matter, including black carbon, a new study finds. The journal Atmospheric Environment published the research, led by Eri Saikawa, an assistant professor of in Emory's Department of Environmental Sciences and in the Department of Environmental Health at the Rollins School of Public Health.